Kill The President (Pas de Deux) explores the intersection of dance and military training. Performed by a professional bodyguard and a dancer, this "pas de deux" combines improvisation with drills and maneuvers used by agents during attacks and evacuations of their principals. Drawing on archival footage of political assassinations and the agent’s own accounts, Kill the President appropriates and deconstructs bodyguards’ movement lexicon and turns it into a "danse macabre" of sorts. 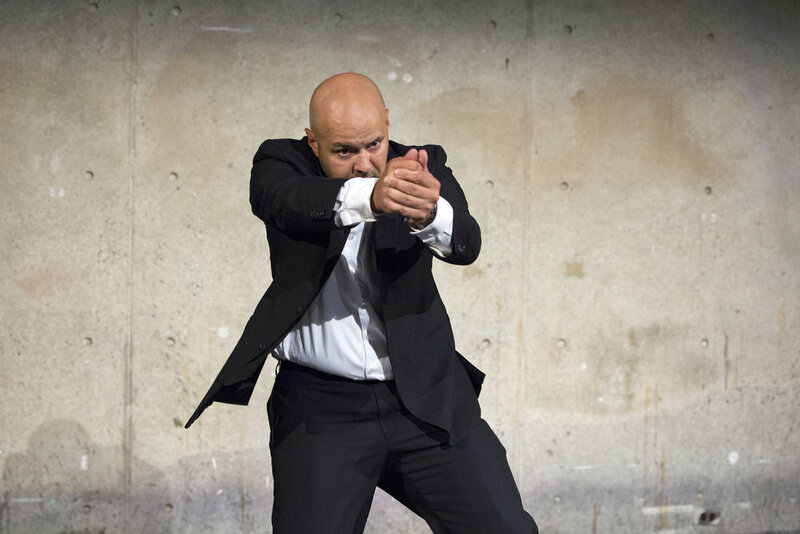 Fast, coarse and generally out of the limelight, bodyguard moves are however relatively structured choreographies, developed to keep agents’ bodies in the line of fire or metaphorically, dancing towards the grave. Performance view, Abrons Arts Center, New York NY, July 2018.